Portable data collectors, on-line systems, transmitters, signal conditioners, turbine supervisory systems (TSI), turn key installation, commissioning and start-up supervision, On-Site training and services. 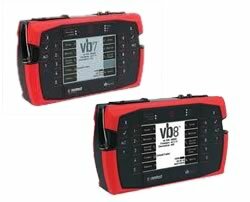 Our products are built to robust professional standards that make vbSeries instruments the first choice for many leading companies around the world. The Liberator is a high-performance, high-accuracy analog data acquisition and analysis instrument for the Universal Serial Bus (USB) and Blue Tooth wireless connectivity. 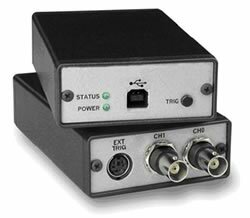 It is specifically designed for demanding portable and stationary dynamic signal acquisition applications requiring a high level of functionality and integration in an ultra portable package. 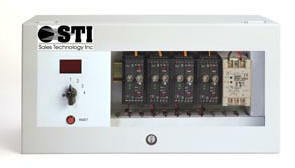 STI Vibration Monitoring Inc. (STI) specializes in Vibration Monitoring and is a manufacturer of comprehensive Condition Monitoring and Machine Protection Solutions, and has been producing quality vibration sensors and monitoring products since 1989. Please note the links below will take you to STI's website. Products are available for purchase directly through STI. Often seismic transducers are not the best sensor for monitoring vibration on specific machines. Eddy probes offer a solution to most of the problems inhibiting the use of traditional seismic sensors. The most common use of eddy current probes is for journal type bearings. Journal bearings behave different than rolling element bearings in that they do not transmit the vibration of the shaft into the bearing cap due to the damping properties of this type of bearing. The CMCP420VT is a solid state, loop powered vibration transmitter. It provides a 4-20 mA output that is proportional to overall vibration in terms of velocity. The CMCP420VT continuously monitors machinery health and transmits directly into a PLC or DCS for trending, alarm and machine shutdown. In addition, the CMCP420VT provides access to the dynamic transducer output. 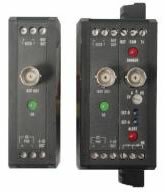 The CMCP500A Series are general purpose monitors. They are compatible with vibration and temperature inputs, they provide a 4-20 mA output proportional to the overall measurement. Each unit provides power for the associated transducer, processes the vibration signal to determine overall amplitude, and outputs a 4-20 mA dc current that is proportional to a user specified range such as 0-10 mils or 0-0.5 in/sec. 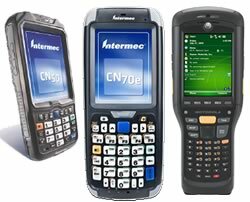 Wonderware® is the leading independent developer of industrial automation or HMI (human-machine interface) applications. Using this software along with our instrumentation, CMCP has designed custom applications for TSI (Turbine Supervisory Instrumentation), Pumps, Compressors, Cooling Tower Fans and Reciprocating Compressors. The CMCP5304 is a four channel Vibration Monitor that has been designed for use on typical rotating machinery such as motors, pumps fans, turbines, compressors, chillers., etc. The CMCP5304 accepts inputs from any industry standard 100 mV/g accelerometer, condition's the input signals to velocity and provides a digital display and alarm status indication.